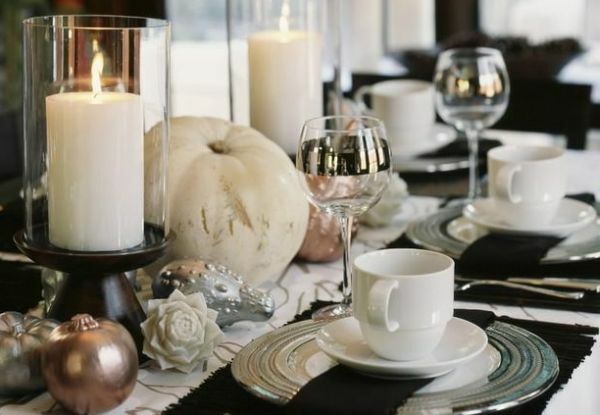 Thanksgiving is just around the corner, and even as you recover from all the Halloween fun and frolic, it’s time to start thinking ahead and planning for the next big celebration. 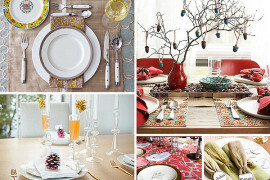 As the big day draws closer, most of us are neck deep in getting that perfect dinner table ready for friends and family. 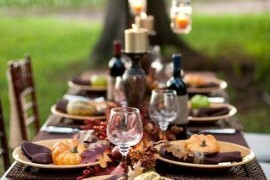 Most often Thanksgiving evokes lovely images of nature draped in its full fall glory, as well as rich culinary delights capped off with a delectable turkey. 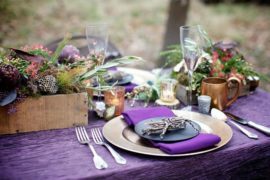 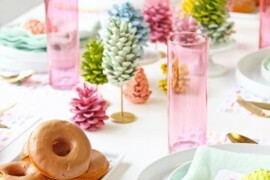 Maybe this time around you can create a distinct, eye-catching celebration that goes beyond the normal fall-inspired color palette! 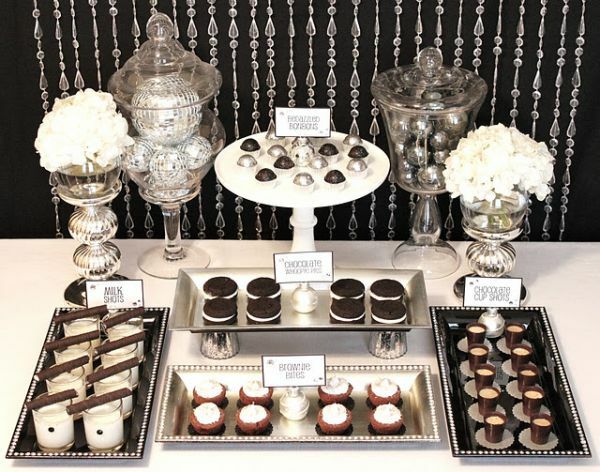 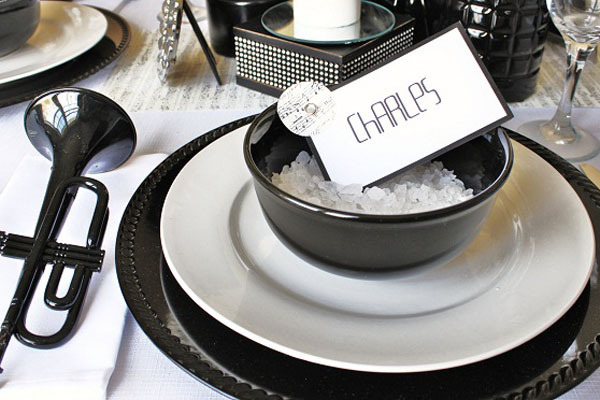 It is often weddings and New Year’s celebrations that bring the black and white color scheme to the forefront. 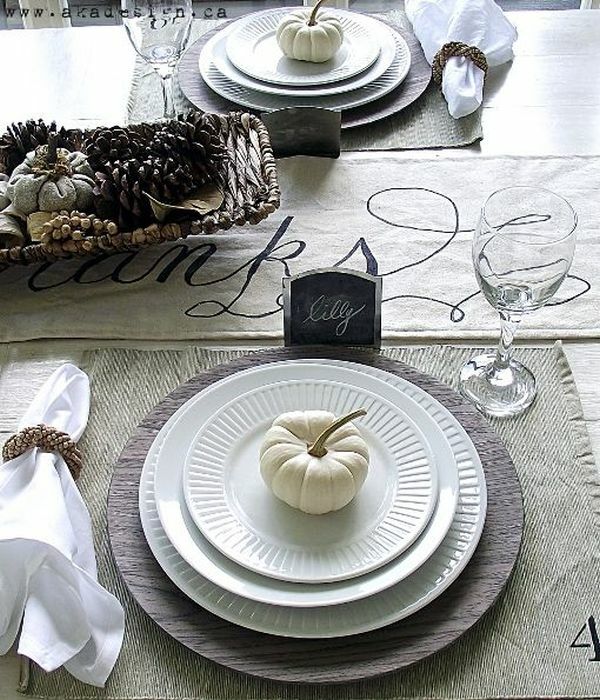 But why not adopt a similar style for Thanksgiving as well? 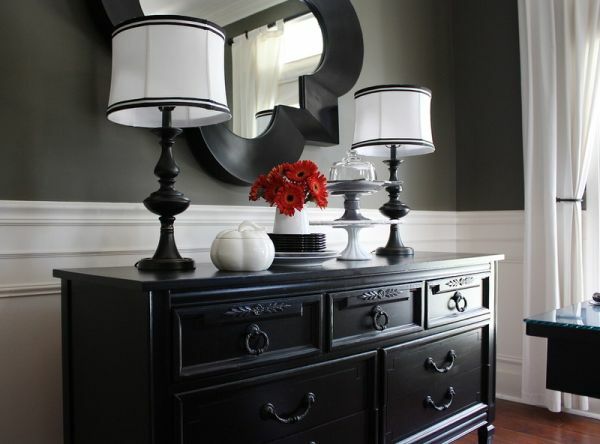 Painting a dramatic and impressive picture, black and white decor creates an instant focal point. 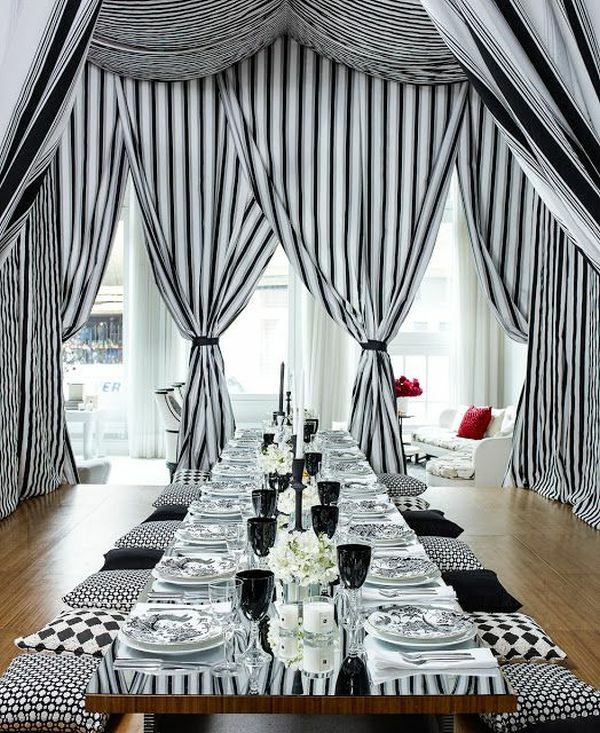 Whether it’s a Thanksgiving table covered in simple stripes or a banner that spreads the festive mood, nothing makes a visual statement quite like black and white. 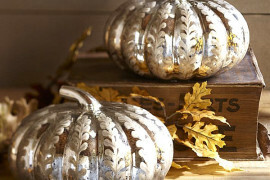 Some silver to give it all a metallic glint! 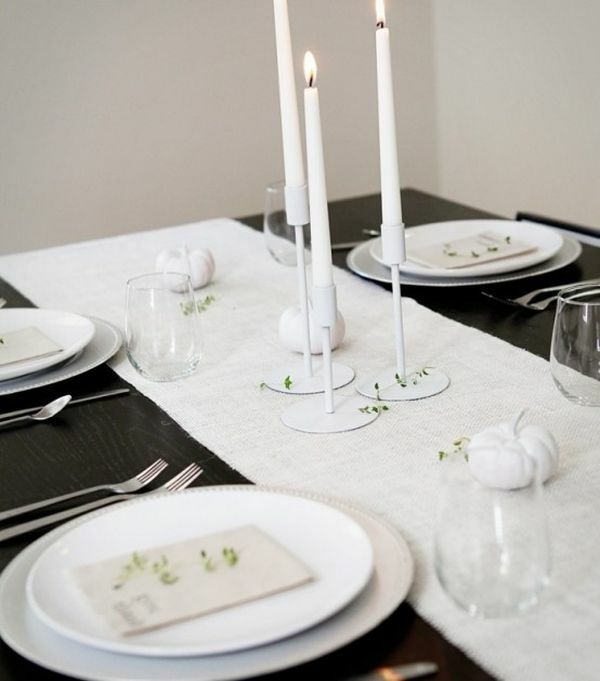 Black and white decorations are all about adding a trendy vibe to your Thanksgiving party. 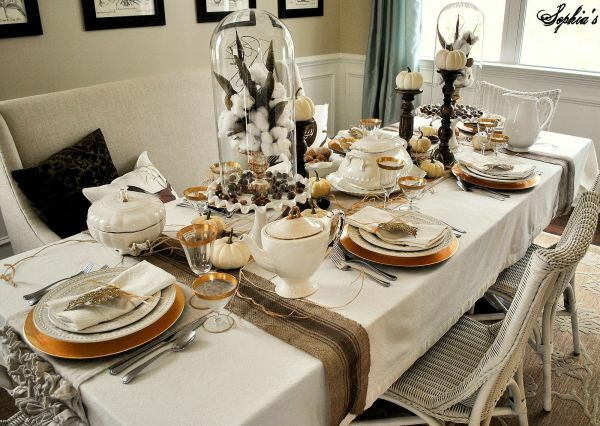 With cool muted tones dominating the interior design landscape of late, they blend in with most contemporary spaces while bringing home the festive spirit. Pulling off this color scheme is not difficult at all, and all you really need is a bit of ingenuity. 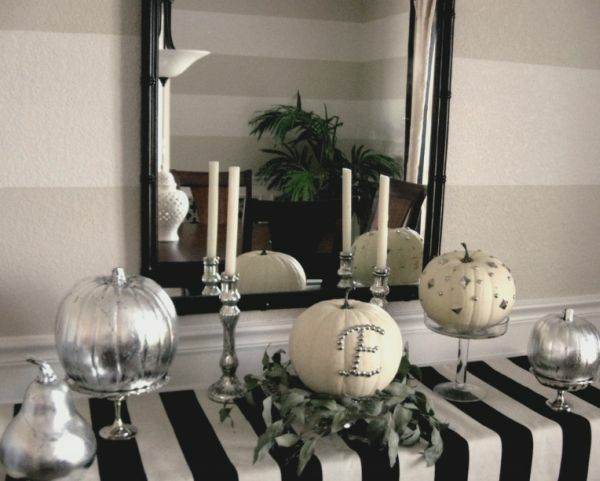 Add some white pumpkins, black napkins and some beautiful candles to instantly usher in this chic look. 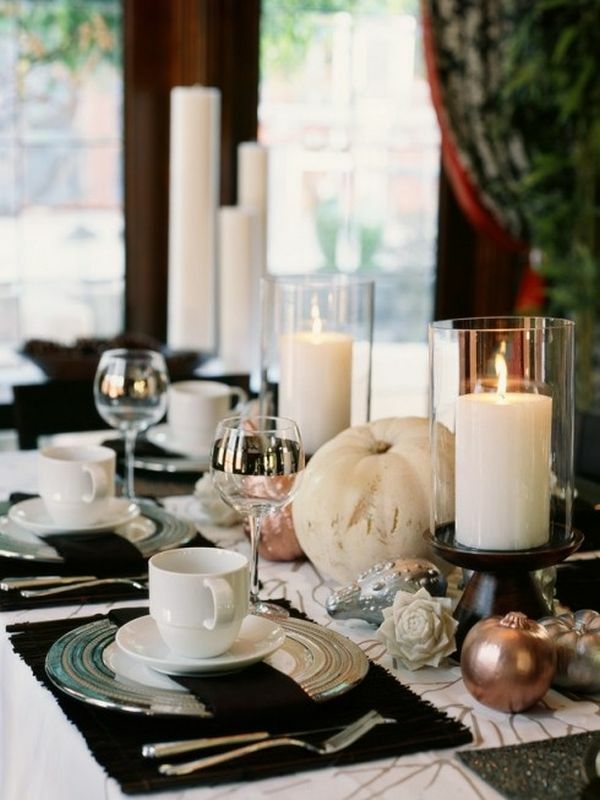 White plates, fancy china in black and white, a striped tablecloth and a mantel with similar hues gets the job done easily. 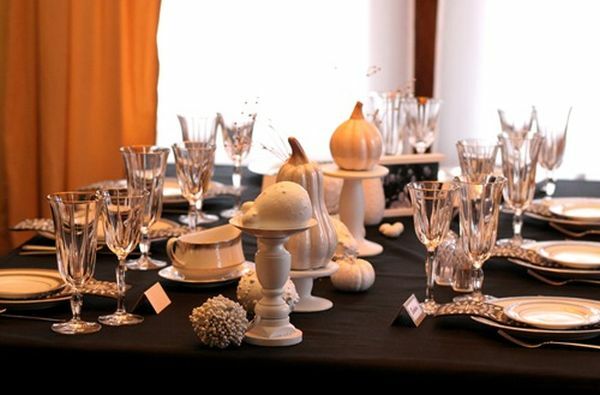 The presence of both glass and metal at the dinner table ensures there’s enough sparkle to keep the space from becoming even remotely bland. 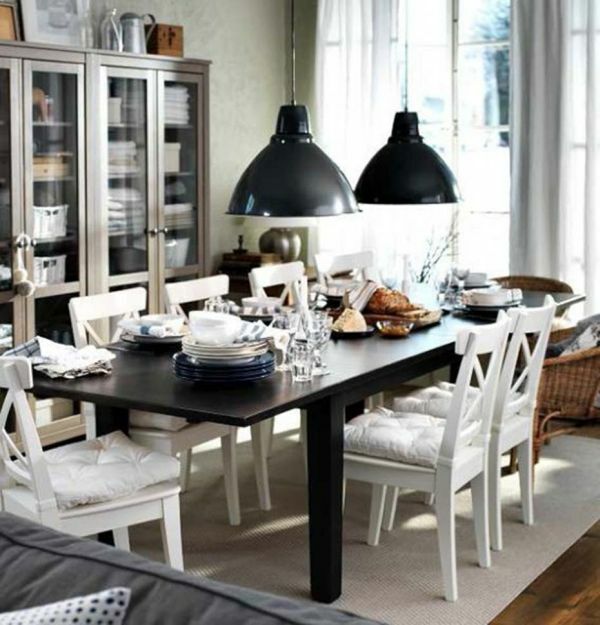 If your kitchen already sports dark pendant lights or Scandinavian-style white chairs, your sophisticated color scheme will be an added bonus that plays into the entire theme. 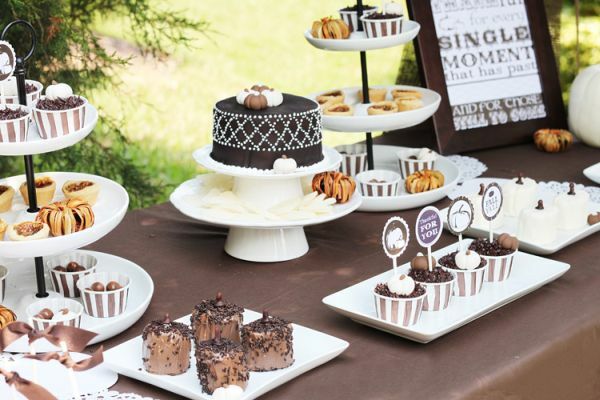 Have a family that loves music? 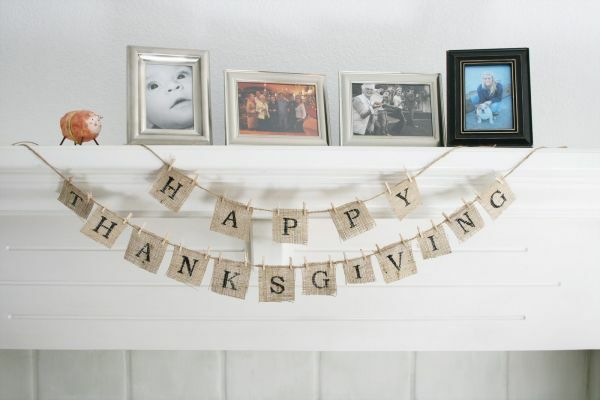 Hanging a banner that spreads the festive cheer is another wonderful, easy way to decorate your home for Thanksgiving. 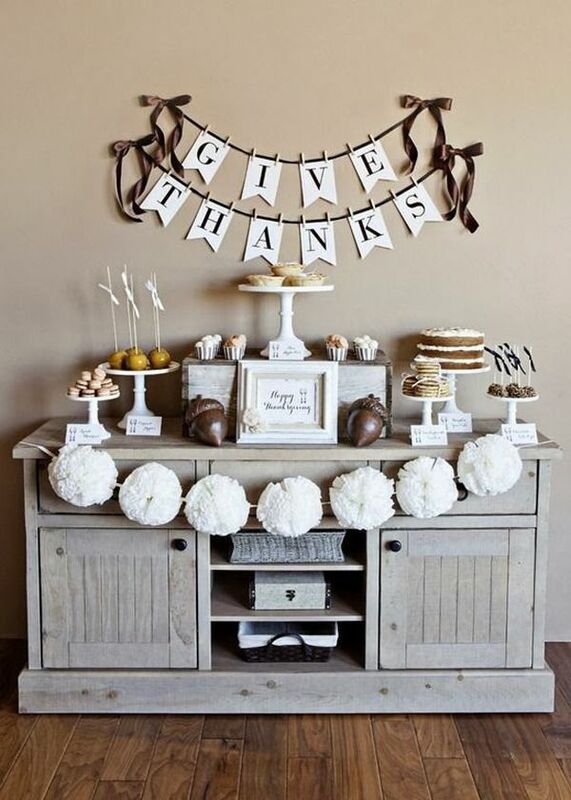 Crating simple banners in black and white barely takes any time and can be a part of the fun DIY projects you have lined up ahead of the Holiday season. 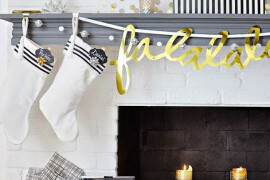 Just hang one of these above the fireplace mantel and use the space to add in more decorations, or even family photographs. 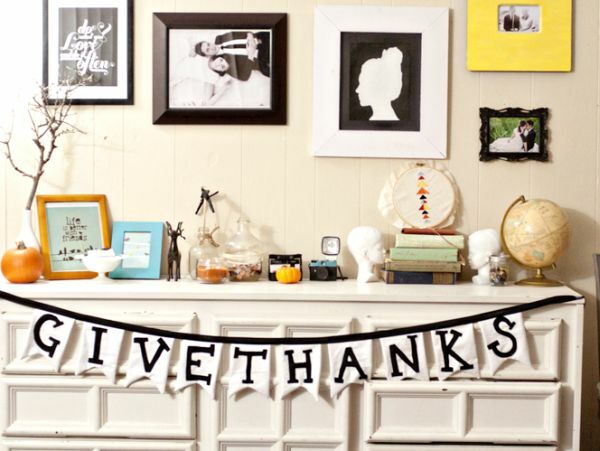 Banners in black and white also tend to stand out far more effectively than those crafted in color. 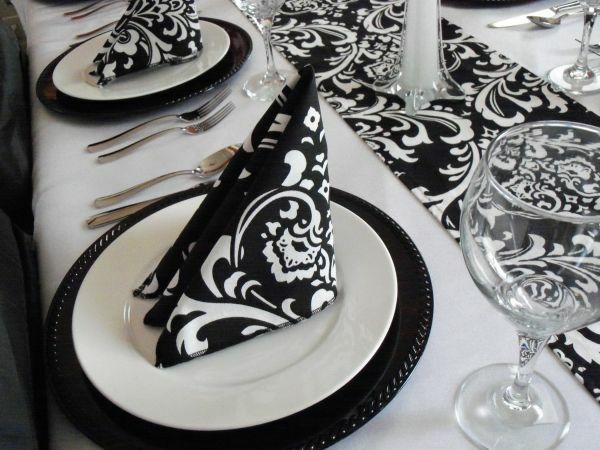 A black and white color scheme does not mean you eliminate all other shades completely. 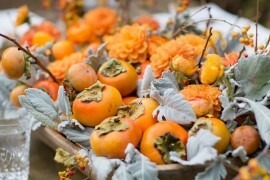 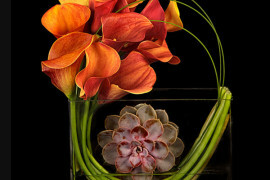 Those who wish to add a few fall colors to the Thanksgiving table can always take some inspiration from nature. 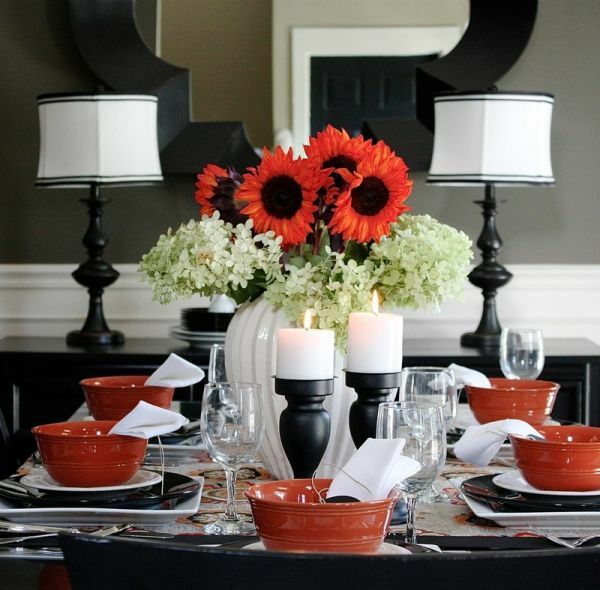 Bright oranges, vivacious reds, gentle greens and fresh yellows look great when used sparingly along with the black and white approach. 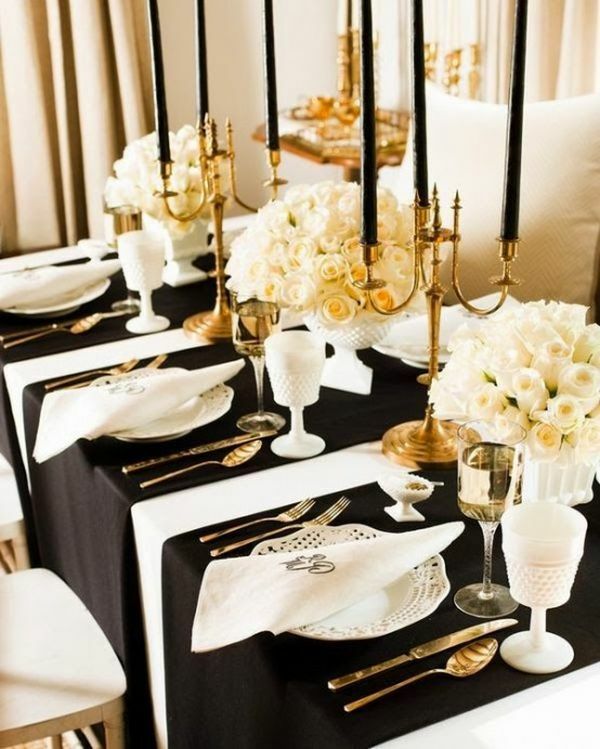 Gold is another accent color worth considering, as it not only adds sophistication and royalty, it’s also widely touted as one of the trendy colors of the season. 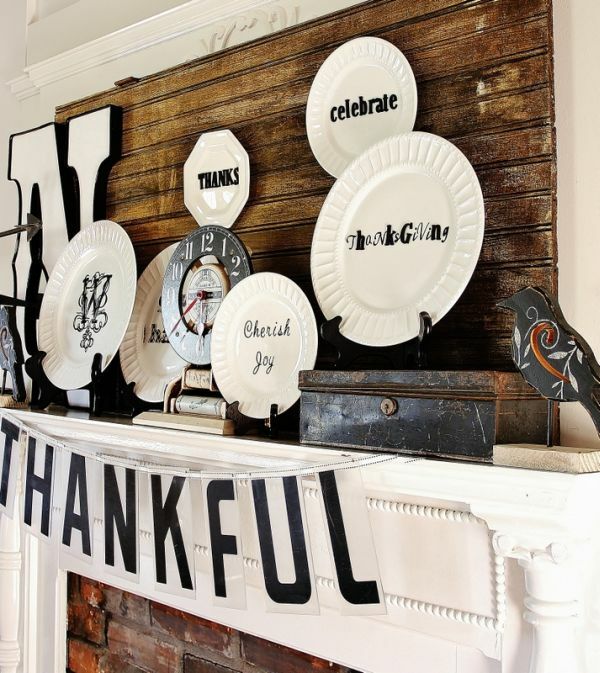 Beautiful and unassuming, a black and white thanksgiving not only looks stunning, but it often evokes nostalgic memories of an era gone by. 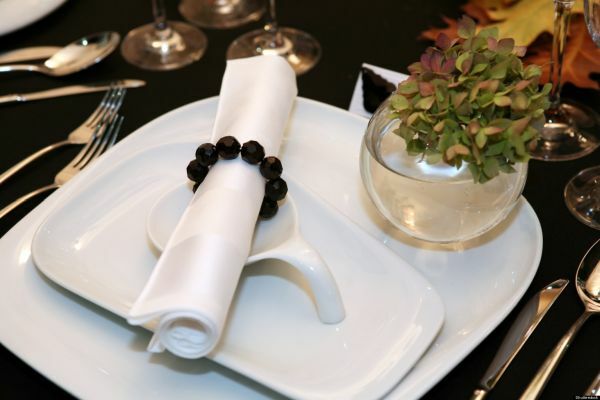 If you want a Thanksgiving that blends understated class with contemporary minimalism in an effortless manner, then look no further than good old black and white!